Protect your home, condo, rental property or vacation house with NH MA Home Insurance. If you live in Nashua, NH or the surrounding communities including Merrimack, Hollis, Brookline, Amherst and Hudson, NH and you need home insurance we can help. If you live in northern Massachusetts like Tyngsboro, Chelmsford, Westford, and Pepperell we can help with auto insurance there too. Just complete the simple form below- or give us a call at 603-882-2909- we would love to gather your info on a brief phone call. We can usually share with you competitive NH MA Homeowners Insurance rates the same day! 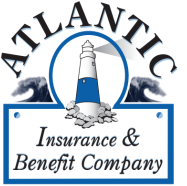 Here at Atlantic Insurance & Benefit Company we work with dozens of home and condo insurance companies to give our clients the best coverage and lowest rates possible.